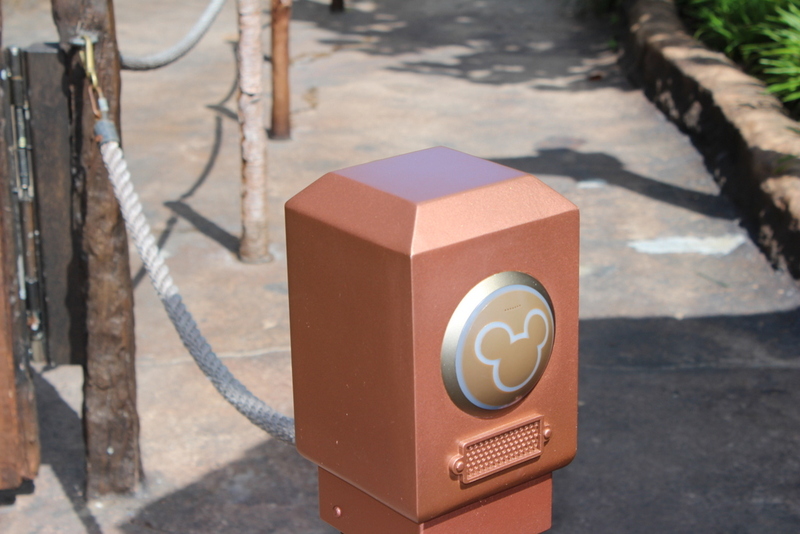 The endgame of the MyMagic+ rollout is here…according to WDW Magic (and checked with a few of our own spies), off-site guests will get full access to MyMagic+ including advanced FastPass+ reservations starting March 31st, 2014. Guests who have created their My Disney Experience account and registered their tickets in the profile will be able to make up to seven days of advanced FastPass+ reservations within a 30 day period from the current date. They will no longer have to wait until they enter the park and use the kiosks, which have had long lines since off-site guests were given same-day access. The 7/30 day limit matches what Annual Passholders are able to do since they were all activated a couple weeks ago. Guests booked at a Walt Disney World resort will still have a 60 day window. A ticket MUST be registered in the guest’s profile to be able to book FastPass+ experiences. This means that tickets must be purchased in advance. Also, off-site guests will have the option to purchase a MagicBand to use in place of the regular ticket media. The price is not yet confirmed but we are hearing $12.95. It is also not certain what color choices will be available, as currently the resorts only stock “Iconic Gray” for guests who have not pre-customized their bands before arrival. To start with, guests with off-site bands will be able to use the bands for park entry and FastPass+ redemption, which can be done with their regular RFID-enabled tickets. But the bands will also allow some behind-the-scenes magic some of which is still being developed, but one current feature is being able to associate some ride photos automatically to your account by detecting the band when the photo is taken. More such magical features will be forthcoming. It’s been rumored for several years – being able to book Fastpasses ahead of time like dining reservations – and it’s almost here. Disney officially announced the new program today, which has been under some test trials since last May. There are still many, many questions to be answered, but at least we have some official details. Overall, the new program is called MyMagic+, and it advertised as a way to make the guest experience better overall. And there are three components. Lastly, there is MagicBand. These are the long-rumored RFID bracelets which will combine everything that the Key To The World card that resort guests receive (room key, room charge, Magic Your Way admission ticket and Dining Plan credits), but also adding the redemption of FastPass+ access (no more paper Fastpass tickets), and PhotoPass, all in one that you just swipe on the reader. In addition, the MagicBand will enable personalized experiences such as being greeted by name by the various characters, or having their name appear in special areas. MagicBand will only be available to guests at selected Walt Disney World resorts to start, along with guests who purchase certain other products (we believe this will apply to Annual Passholders). Other guests will be able to use their standard tickets to access most of the MyMagic+ features. MagicBands will be available in a variety of colors, and there may even be personalized designer versions available for a fee (based on earlier rumors). What we don’t know is if you can get more FastPass+ selections while you are in the park. We do know that at least for a short time, the existing Fastpass system will still exist, but if you convert your admission media to utilize FastPass+, you CANNOT use Fastpass. And we expect Fastpass to go away once all resorts are active with MagicBand and they are prepared to convert all standard tickets to RFID-compatible media. Right now, it looks like it is three FastPass+ selections, and that’s it. (80%) We unfortunately believe this, plus other uncertainties may slow voluntary adoption. This would also further limit the desirability of park hopping. We don’t know how off-site guests with Magic Your Way and Annual Passes would make FastPass+ reservations, since they don’t have a resort reservation to determine when they would be at WDW. Complete unknown. There is also some concern about some personal information encoded on the MagicBand. Reportedly, your name – at least your first name – is encoded on the MagicBand to be readily available for personalized experiences. It is uncertain if you can opt-out of that feature. Another concern is reports back in October that the MagicBands are also Wi-Fi transmitters, according to documents filed with the FCC, powered by a non-replaceable battery. Since most if not all of the advertised features involve RFID scanning at a very short range, we don’t see the need for something that outdoors can be received up to 100 yards, except for tracking purposes. Whether this is part of the end design or not we are not sure.